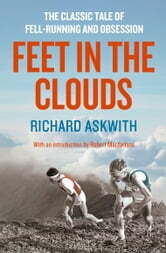 A chronicle of a masochistic but admirable sporting obsession, an insight into one of the oldest extreme sports, and a lyrical tribute to Britain’ s mountains and the men and women who live among them, this is the story of fell-running. With an introduction from bestselling author Robert Macfarlane and an epilogue from Richard Askwith, this is a complete portrait of one of the few sports to have remained utterly true to its roots – in which the point is not fame or fortune but to run the ancient, wild landscape, and to be a hero, if at all, within one’s own valley. The concept of fell-running is simple: it’s a sport that involves running over mountains – sometimes one, sometimes many. It’ s also immensely demanding. While running uphill is a stamina-sapping slog, running pell-mell down the other side requires the agility – and even recklessness – of a mountain goat. And there’ s the weather to contend with. It may make the sports pages only rarely, but in areas like the Lake District and Snowdonia fell-running is the basis of a whole culture – indeed, race organisers sometimes have to turn competitors away so that fragile mountain uplands are not irrevocably damaged by too many thundering feet. Fixtures like the annual Ben Nevis and Snowdon races attract runners from all over Britain, and beyond. Others, such as the Wasdale and Ennerdale fell runs in the Lakeland valleys – gruelling marathons of more than 20 miles – remain truly local events for which the whole community turns out, with many of the runners back on the same fells the next day tending sheep. 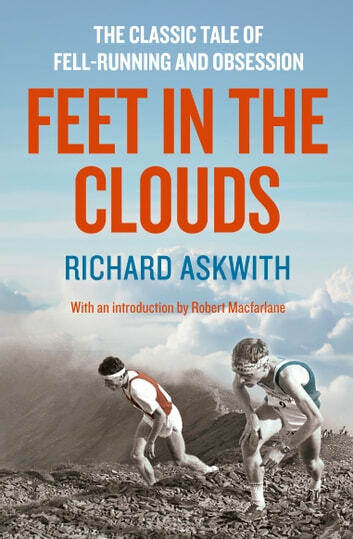 Now, Richard Askwith explores the world of fell-running in the only legitimate way: by donning his Ron Hill vest and studded shoes to spend a season running as many of the great fell races as he can, from Borrowdale to Ben Nevis: an arduous schedule that tests the very limits of one’ s stamina and courage. Over the months he also meets the greats of fell-running – like the remarkable Joss Naylor, who to celebrate his fiftieth birthday ran all 214 major Lakeland fells in a single week; Billy Bland, the combative Borrowdale man whose astounding records still stand for many of the top races; and Bill Teasdale, a hero of the sport’ s earlier, professional days, whom he tracks down to his tiny cottage in the northern Lakes. And ultimately Askwith’ s obsession drives him to attempt the ultimate challenge: the Bob Graham Round – a non-stop circuit of 42 of the Lake District’ s highest peaks to be completed within 24 hours. Today We Die a Little!